What you need to know about the ITC’s “injury” finding, and what’s coming next as the remedy phase gets underway. The U.S. International Trade Commission voted unanimously on September 22, 2017 for an affirmative determination of injury to U.S. producers of crystalline silicon photovoltaic products -- such as solar cells, modules and panels -- from increased imports of those products into the U.S. market. The vote concludes the “injury phase” of the investigation, which began on May 17 with the acceptance of a petition for relief from imported crystalline silicon photovoltaic (CSPV) products filed by solar manufacturer Suniva, Inc. (later joined by SolarWorld Americas, Inc.) pursuant to Sections 201-202 of the Trade Act of 1974. As we reported in an earlier blog post, the ITC held a public injury-phase hearing on August 15, 2017, in which the commissioners heard testimony and received statements and briefs from petitioners and their supporters and opponents of the petition. Meanwhile, ITC staff was busy summarizing and analyzing data collected during the investigation, and produced an injury phase report (Staff Report) that runs more than 500 pages. With injury established, the ITC will review trade remedy proposals filed this week by Suniva, SolarWorld and other stakeholders in the case (so look for more on that soon). A public hearing on the remedies is scheduled for October 3, 2017 in Washington, D.C.
Before the remedy phase gets further underway, here are five key things to know about the September 22 vote. The ITC collected data from the five-year period from 2012 through 2016 and identified 13 operating domestic producers of CSPV cells, including petitioners Suniva and SolarWorld. The Staff Report noted that three domestic producers -- tenKsolar, Motech and Silicon Energy -- had ceased operations during the period. The Staff Report stated that these 16 (13+3) producers accounted for 100 percent of domestic CSPV cell production, and 63.9 percent of domestic CSPV module production during 2015 (see report pages I-53 to I-55). The remaining domestic module production was contributed from various assembly operations and excluded modules made from imported CSPV cells (see report page III-33). U.S. producers are defined as companies with production facilities in the U.S. territory; foreign ownership or control, financial solvency and volume of production are irrelevant for defining U.S. producers under the statutory language. Further, other industry players are irrelevant to the injury analysis, including investors, utilities, state and local interests, installers and those employed in these downstream and supporting sectors. Only domestic producers and those directly working for them are protected parties in the injury phase. ITC trade investigations are not subject to creative statutory interpretation. The commission reads and follows the relevant statutory language. Here, the statute is straightforward. Finally, “serious injury” is “a significant overall impairment in the position of a domestic industry.” Unlike some statutes with general or undefined language that allows a court or agency significant room for interpretation, Congress provided specific guidance to ITC in this one. The commissioners have little room for creative interpretation. The statutory precision puts a heavy emphasis on the data collected because the data will inform the commissioners about the relative market positions of the domestic industry share of the market for the defined CSPV articles versus the share of the market absorbed by imports of the defined CSPV articles. The 500+ page staff report includes numerous figures and tables of data showing relative market positions and other factors. Two such tables serve as a good example: cell and module prices in Figure V-13 on page V-47 of the Staff Report, and Table V-19 on page V-49 of the Staff Report, showing total CSPV cell and module share of the U.S. market. First, in the period 2012-2016, cell prices per kilowatt declined from about $0.53 per watt to about $0.20 per watt. In the same period, module prices declined from about $0.94 per watt to about $0.39 per watt. Clearly, there are significantly declining prices for these articles. The staff report concludes: “Overall, cell and module prices fell by 60.4 percent and 58.5 percent, respectively, from 2012 to 2016” (page V-46). What is happening for the U.S. producer share of market in those five years? The combined market share of U.S.-origin cells and modules fell from 5.2 percent in 2012 to 4.6 percent in 2016, while foreign-origin products from all sources correspondingly comprise 94.8 percent and 95.4 percent of U.S. demand, respectively. These 2012-2016 U.S. domestic shares are small, but remained relatively stable over the period and the statutory language focuses on “increased quantities” as a source of injury. Looking further, the market volume tells the story: 2012 purchases in kilowatt equivalents totaled 2,062,78 kilowatts from all sources; by 2016, that figure was 8,004,988 kilowatts and 8,667,616 kilowatts in 2015. Therefore, as the market share of U.S. producers remained stable, the demand volume quadrupled. U.S. producers saw steeply declining prices (Fig V-13) while the size of the market demand quadrupled (Tab V-19) and their share of total demand declined slightly. U.S. producers failed to capture much of the greatly increased demand, meaning a greatly increased level of imported CSPV products during the recent period. The ITC is an independent agency, not an executive branch agency. Its mandate is to conduct trade investigations, administer trade laws, adjudicate claims of intellectual property infringement of imported items, and analyze and provide information to other U.S. agencies and Congress about U.S. trade. It also maintains the U.S. Harmonized Tariff Schedule. Think of the ITC as an import watchdog of sorts. The ITC does not create or enforce the trade policy of the president. Rather, it implements and enforces pertinent trade statutes to protect U.S. interests as determined by Congress in enacting those statutes. Although the president appoints ITC commissioners, no more than three of six commission seats may be from the same party. Currently, there are two Democratic and two Republican commissioners, none appointed by President Trump. The president has not yet filled the two vacant commission seats. The 4-0 affirmative vote on injury was not a policy-oriented vote to reflect the president’s trade agenda. It was a vote based on the statute and data set forth before the commission. The statutory language requires the ITC to make separate findings on the extent to which imports of the CSPV articles under investigation from countries which are trade partners with the United States under a free trade agreement (FTA) contribute to the injury of the domestic CSPV producer industry. As required, the commissioners voted separately on findings for these FTA countries. The separate votes on material injury from imports from FTA partners were negative as to all FTA partners except Mexico and Korea, which received a 4-0 affirmative vote that imports from these countries contribute importantly to or constitute a substantial cause of serious injury. The vote on Canada was a 3-1 negative finding and for all other FTA partners, the vote was 4-0 negative. These results will be set forth in more detail in the ITC report to be sent to the president. The president will consider them but is not required to treat FTA partners differently, notwithstanding the negative findings. Still, if the president’s remedy differs from the ITC recommendation, the president must explain the reason to Congress. The U.S. commitment to the World Trade Organization (WTO) Agreement on Safeguards also requires any U.S. remedies to be “suitable” to achieve the needed protection or facilitate adjustment. The interplay between U.S. FTA requirements, the Section 201-202 statute and the WTO Agreement on Safeguards is complicated. 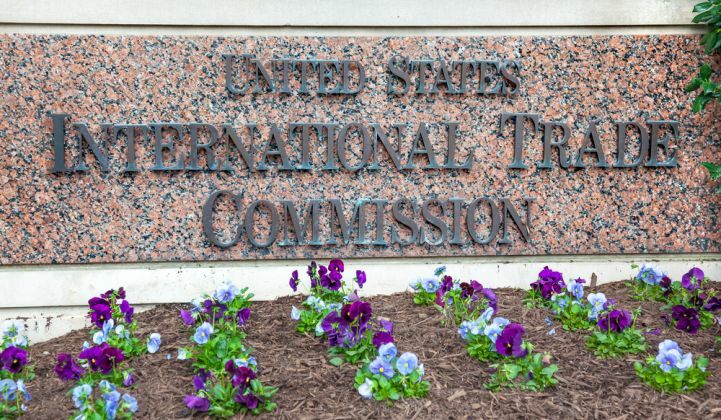 Several FTA partners raised the issue of differential treatment in connection with the ITC’s August 15 injury hearing, so expect to see more of those arguments during the remedy-phase investigation. The ITC investigation quickly moves to the remedy phase with a public hearing by the commission scheduled for October 3. Pre-hearing briefs and statements were due by September 27 and a pre-hearing conference for parties who will testify is set for today, September 28. Post-hearing briefs and statements are due by October 10. From there, the ITC will prepare a final report for the president, covering its injury findings and remedy recommendations. The report, which will be released to the public, will be sent to the president by November 13. In the normal course, the president has 60 days to decide what remedy to impose but can extend that time by asking for a supplemental report on specific findings by the ITC. While it may be premature to speculate about any potential remedy recommendation, there are some broad guidelines to consider. First, the statute lists the following potential remedy recommendations by the ITC: (1) “an increase in, or the imposition of, any duty on the imported article,” (2) “a tariff-rate quota on the article,” (i.e., imposing a tariff schedule dependent on levels of imports) (3) a “quantitative restriction” or quota, (4) “one or more appropriate adjustment measures, including the provision of trade adjustment assistance,” or (5) any combination of the foregoing. The ITC may also recommend that the president undertake international trade negotiations to address the structural problems of global trade in the items, and provide other lawful means to facilitate trade adjustment to import competition (see 19 USC § 2252). The statute also lists similar actions that the president may take, and adds to the recommendations of the ITC: (1) measures to allocate import licenses among importers, (2) negotiate export restraints with certain countries, (3) submit legislation to Congress to address the needs of the domestic industry to adjust to import competition, (4) take any other action allowed by law, or (5) a combination of the foregoing. The president’s discretion is broad but not unlimited. For example, the statute integrates WTO terms to limit the increase in duties to no more than 50 percent ad valorem of any existing duty and any quota should not be less than the average quantity or value of imports from the three recent years. Further, the remedies must not extend for an initial period beyond four years or exceed a maximum of eight years, including renewals. Remedies in force longer than one year must phase down over the penalty period (see 19 USC § 2253). In sum, this investigation and ultimate trade remedy has a lot of complicated factors remaining as it shifts from a data-driven injury phase to a more economic-theory and policy-driven remedy phase and presidential implementation. Much has been made about the Suniva petition’s request for a $0.40 per watt duty on CSPV cells and a floor rate of $0.78 per watt price on CSPV modules. However, that is only the petitioner’s proposal and the ITC must consider a number of statutory factors aimed toward facilitating the domestic production industry’s positive adjustment to import competition. We can expect the ITC to analyze the data carefully and make a set of proposals that the commission expects will help move the domestic industry into a long-term competitive position vis-à-vis foreign suppliers. Once the ITC’s report and recommendations move to the president’s desk, it may well be that the president views the decision in a trade policy light. Although the president does have broad discretion, his freedom is bounded by statutory limits,congressional oversight and the U.S. obligations under the WTO process. In many ways, therefore, this first vote in the injury phase was the easier part of this trade case. Yet to come are the hard decisions about whether the domestic producer industry can return to a competitive position, what measures can best facilitate that transition, and the timing and content of such measures. Expect much uncertainty until at least Q1 and possibly Q2 of 2018 when the president issues an implementing executive order. The investigation reference number is ITC Inv. TA-201-075. Morten Lund is a partner at Stoel Rives practicing in the Energy Development group, and serves as Chair of the Solar Energy Initiative. This post was originally published on the Renewable + Law Blog.